Just found out that this museum is closing by end of 2008 and moving to Arlington, Texas. Of course, that is just the bowling part and not the Cardinals baseball part. I read the area will be used in the development of Baseball Village, but it appears it will not be open next summer even though St. Louis is hosting the All Star Game. 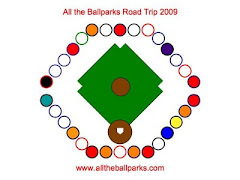 Who knows if, when, and where exactly they will reopen the Cardinals Hall of Fame part, but it looks like it will not be on the 2009 All the Ballparks itinerary anymore. Oh well, at least we did get to this museum a few years ago. Perhaps the new location in Arlington, Texas will be open and we will go to the bowling part while in the area since the three of us all like bowling and bowl in leagues.